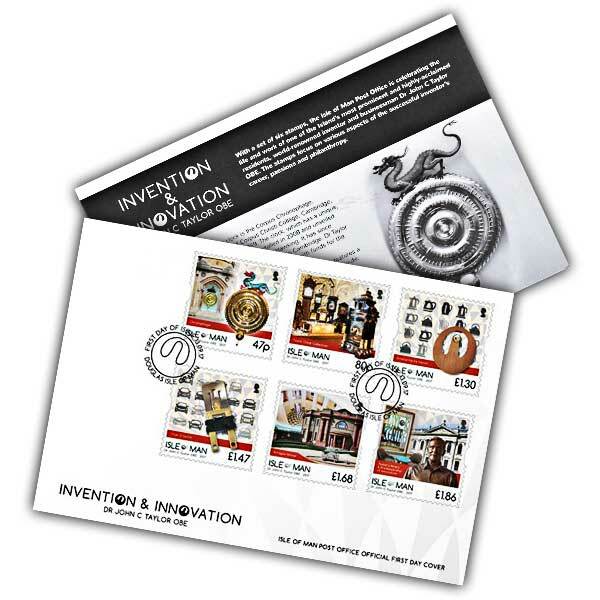 This Isle of Man Post Office First Day cover features the complete collection of the six-stamp set Innovation and Innovation-- Dr John C Taylor OBE. The stamps are cancelled with the first day of release, and includes a distinct postmark motivated by the shape of Dr Taylor's well-known bimetal kettle switch, used in millions of houses around the world. 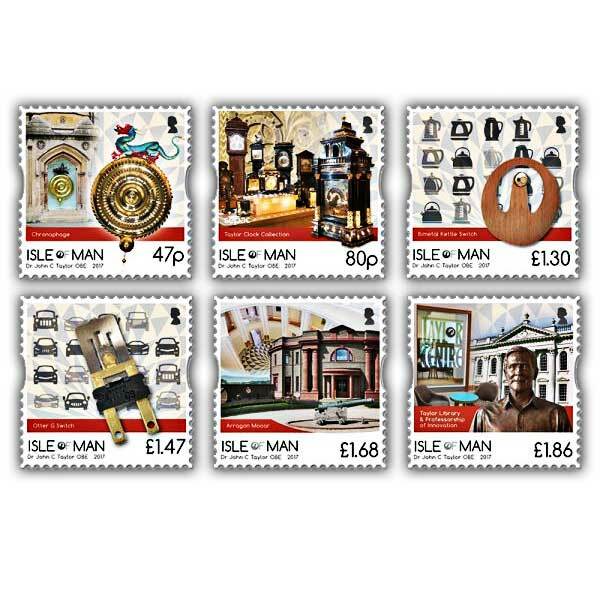 Inside the envelope is a four-page card describing the style of each stamp and featuring a profile of Isle of Man resident Dr Taylor. The stamps are a celebration of Dr Taylor's life and career, showcasing his clock collection, spectacular home, philanthropy and creation in a series of complex designs making use of eye-catching photography, elements influenced architectural functions from his home and the shape of his bimetal kettle switch. They are ended up with varnish and metal ink to include to the visual effect.